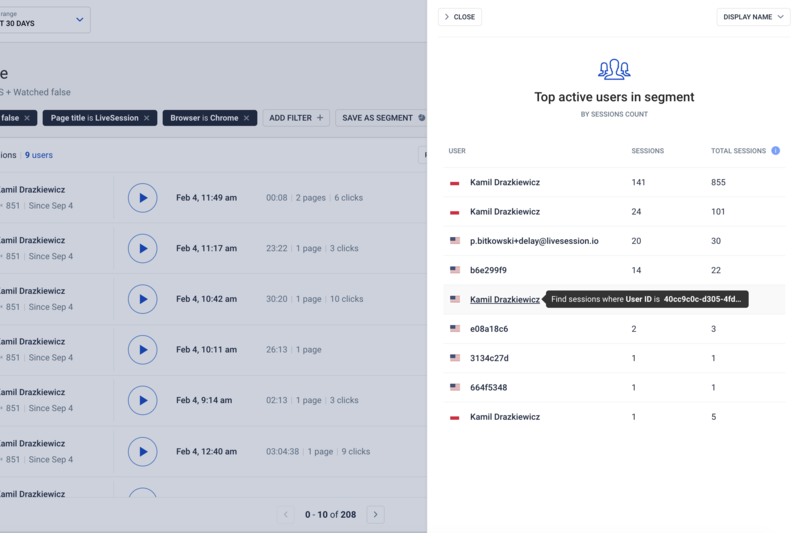 You can now see which of your users in the chosen segment are most active. The information about users is visible in a segment on the top of the sessions list. 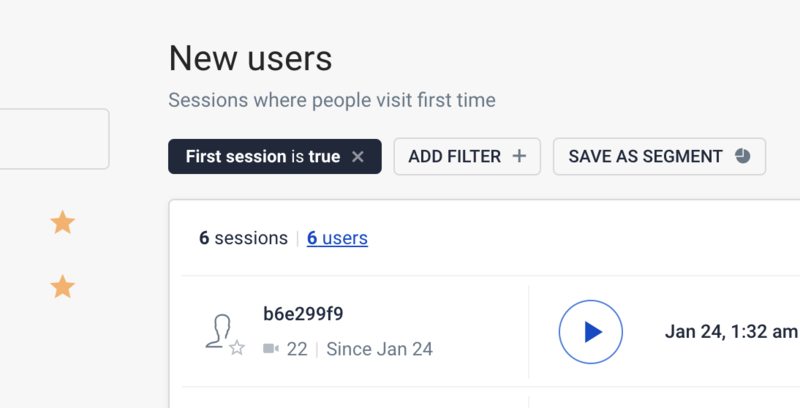 This number is clickable and it opens a detailed list of ten most active (by the number of sessions) users. You can load up to 50 users. To get most of this list, you should start to identify your users. Using LiveSession Tracking API you can provide a user name and email which will appear on this list. More info can be foundhere.